We all know technology doesn’t stay relevant forever. That’s why we occasionally buy a higher-definition TV, or trade up to a better smartphone. The same can be said of websites; no matter how well-designed it was, at some point your home on the internet is outdated. Here are five signs that you need to freshen it up with a redesign. The website just looks old. It might load slowly, or contain elements that are outdated. For example, you used a WordPress theme that is no longer supported by the developer. Now your site is becoming incompatible with its own plug-ins, does not offer a convenient way to improve search engine optimization, and is vulnerable to security threats. Or, your site depends upon Adobe Flash, which Adobe does not update anymore. These sites are not viewable on mobile devices, and many internet users don’t have a current version of Flash player (so they can’t use your site). Google algorithms also favor newer code when ranking websites, so an older site will likely suffer in search rankings. If the interface of your website has aged, or if you no longer possess the login credentials, you will find that making essential updates is impossible. This can be frustrating when you want to update your biography, add your Google location, link to social media, start blogging, or do something else to increase the usefulness of your website. Often in these cases, a redesign is necessary, so that you can add new features that are currently in demand. Your site is not mobile friendly. This might be the most important reason to update a website. Based on trends in internet use, a majority of your viewers are accessing your website via a mobile device. If your website is not mobile friendly, most of your target audience can’t even utilize your website effectively. It doesn’t reflect your brand. Over time you might realize that the look, voice, or message of your website does not accurately reflect your company. This matters to consumers, who expect consistency across all levels of their experience with a business. You aren’t offering a good user experience. 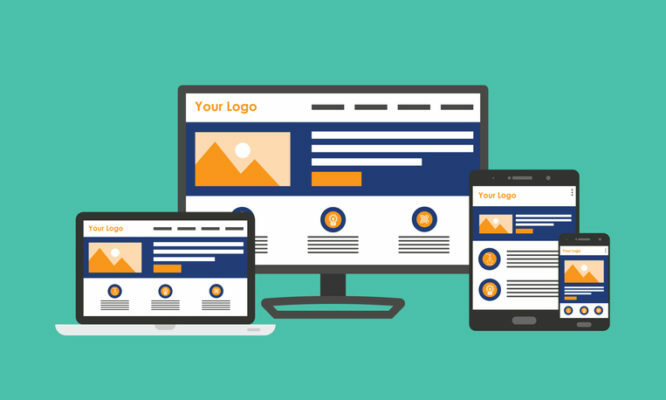 If your website doesn’t load properly across all devices, isn’t mapped intuitively, doesn’t include engaging visuals, or doesn’t include clear calls to action, visitors are likely to become frustrated and quickly give up. Why struggle with a confusing, difficult website when so many others are more easily accessible? If any of these situations sound familiar, it’s probably time for a website rebuild. Contact us to learn more, and we’ll show you how an updated website can improve user experience and accurately represent your business online.